There are so many new and awesome papers in the new Idea Book by CTMH, but my favourite paper is Later Sk8r. It's so great, and I just couldn't stop once I started creating with it. 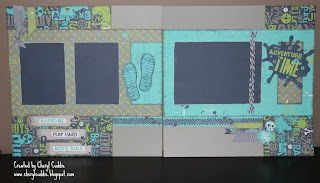 I used the WOTG kit, and adding some background cardstock and the Stickease, I ended up with 5 awesome layouts! They are a combination of layouts from the WOTG kit, and CTMH publications Magic and Make it From Your Heart. I haven't gotten my photos onto the layouts yet, but I couldn't wait to share, so here they are! 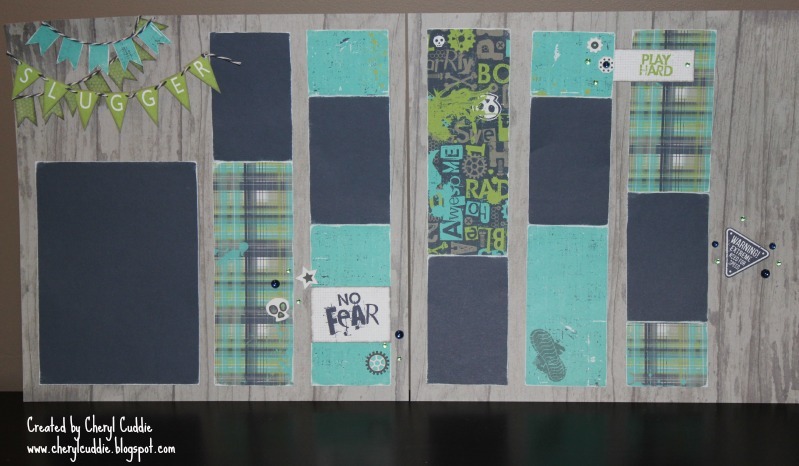 This week the challenge over at Color My Heart Color Dare is to use Outdoor Denim, Lagoon and Pear. My layouts just happen to fit right in! Make sure to stop in there for some more inspiration with these fabulous colours! 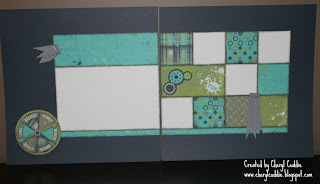 I used up every scrap of this paper, and may just have to order some more. I love these colours, and it was so great to get so many layouts done all at once. Love this paper! 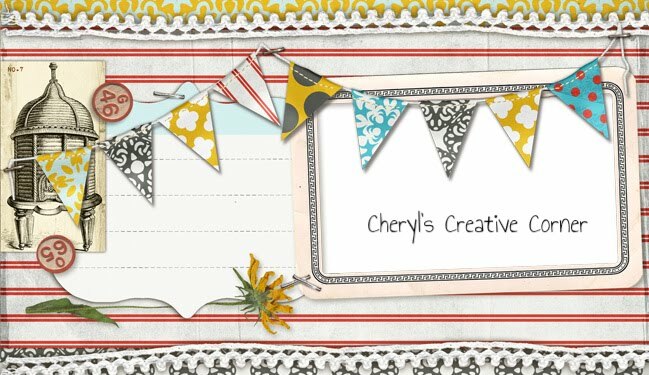 Love your lay-outs, Cheryl! 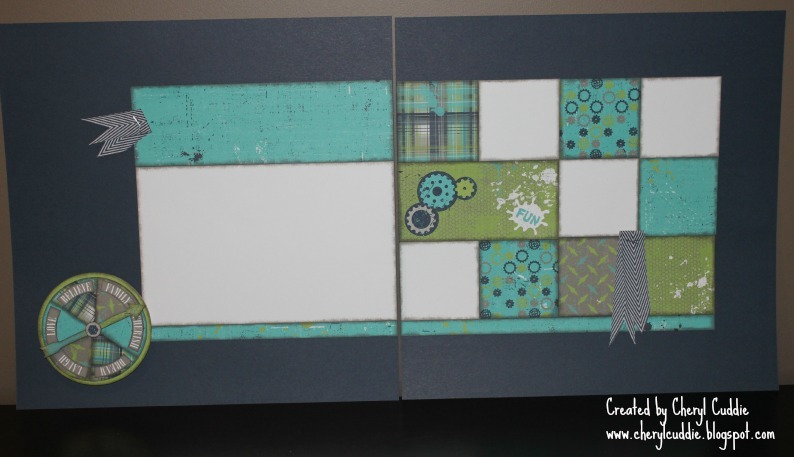 Esp your use of the Dakota woodgrain paper with Later Sk8tr--so perfect. Make sure to check out the Color My Heart blog on Friday of this week...you may want to link up these projects! Thanks so much! I will check it out for sure! I have had so little time for all the blog challenges I was doing, but I would like to get back to it. Thanks for coming to visit and commenting. Your artwork is always such an inspiration! Your layouts turned out amazing. Love that you added Dakota as a set of base pages. 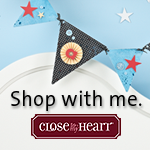 Thanks for linking up with us at Color My Heart. I almost said something about it on the bulletin boards last night (but I didn't want to spoil it)! I'm so amazed at your layouts. Great job! Wonderful pages to showcase great memories in life. Thanks for joning us this week. Thanks for posting your fantastic array of layouts with Color My Heart Color Dare this week! We appreciate your participation and hope you will join us again soon. Thanks for joing us at Color My Heart this week. 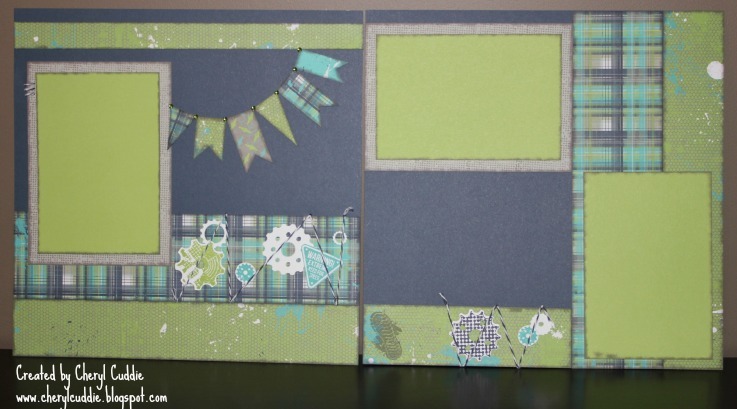 I love that you posted all of your layouts...including the one with the Wheel of Life set. I have an order coming with that set, so I'm looking for all the ideas I can find. We hope to see you at Color My Heart next week, too!! I am the proud mother of two beautiful boys, and am lucky enough to be married to my soul mate and best friend. 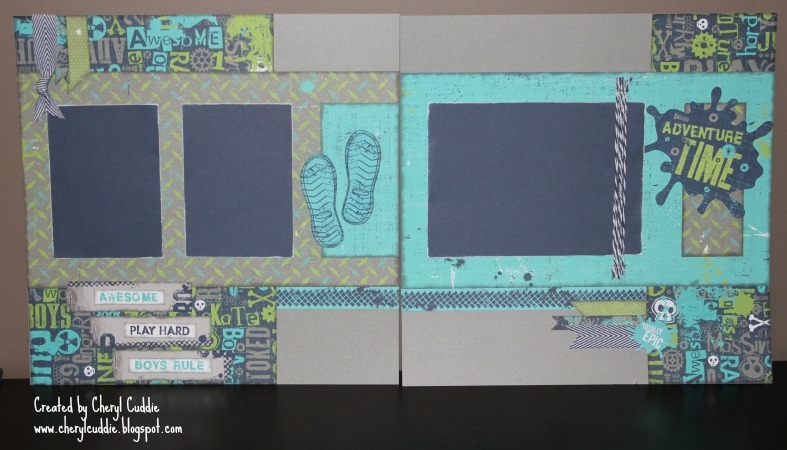 I have always been a creative person, but upon having children, I discovered my passion for scrapbooking and documenting life's most cherished moments. 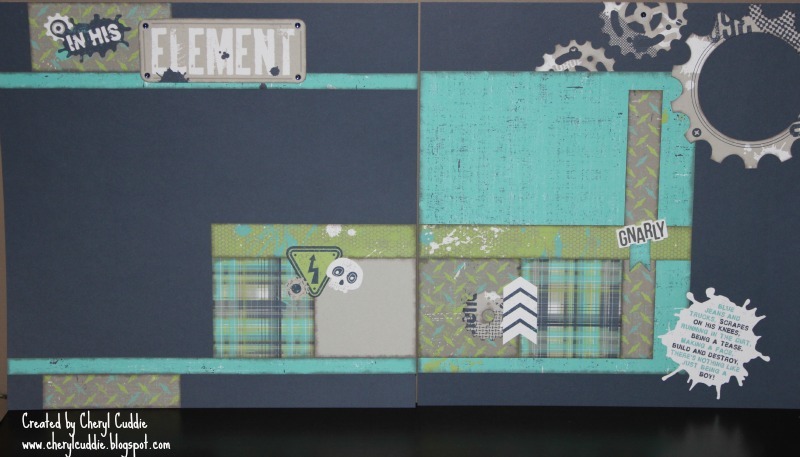 I became an Independent Consultant with Close to my Heart in 2010, and enjoy sharing my love of scrapbooking with those around me. Thanks for visiting my blog! I made the Top Ten at H2H! New Idea Book and Catalog is LIVE!